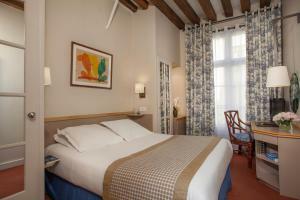 The Hotel de Lutèce, a beautiful 17th century building, is located on the Ile Saint-Louis, just a 10-minute walk from the Panthéon and the Georges Pompidou Centre. 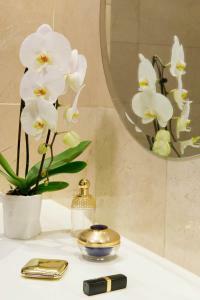 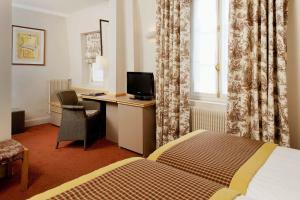 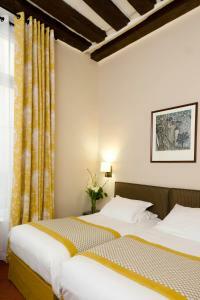 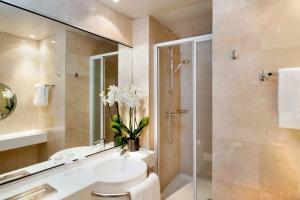 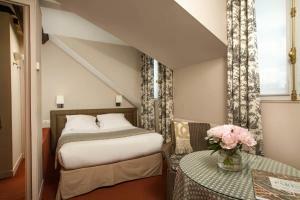 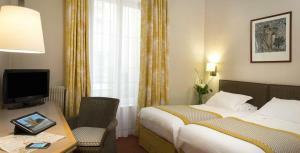 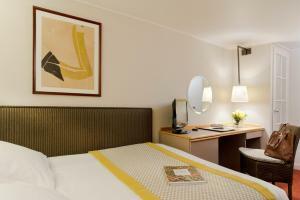 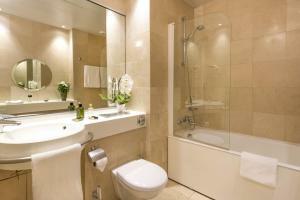 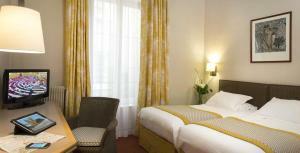 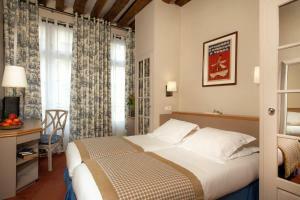 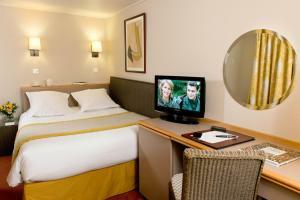 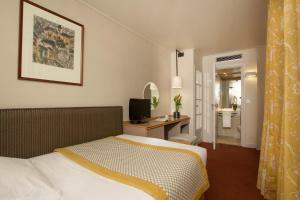 The 23 tastefully decorated rooms are soundproofed and air-conditioned. 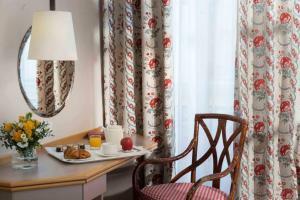 These charming rooms are equipped with private bathrooms with shower or bath, satellite/cable TV, telephone, desk and free Wi-Fi internet access. 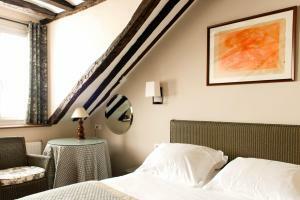 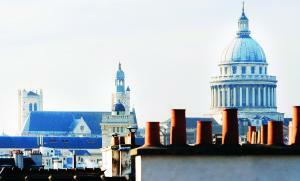 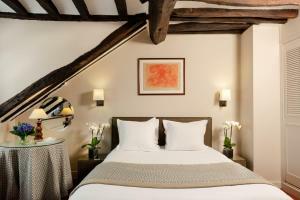 As you enjoy this lovely Parisian residence take the time to discover the surrounding area. 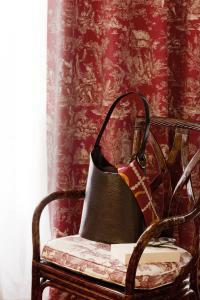 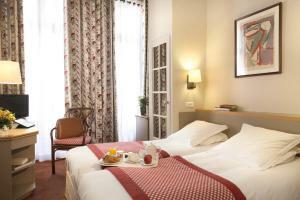 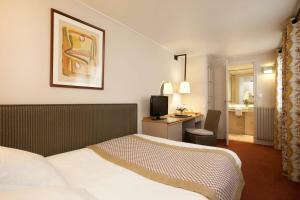 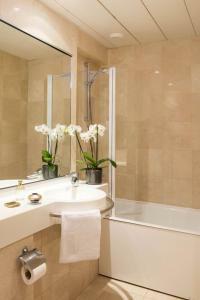 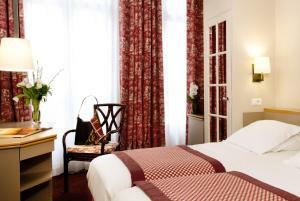 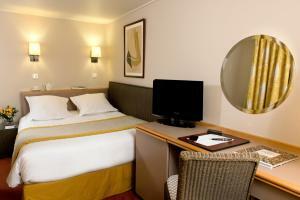 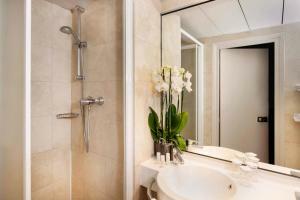 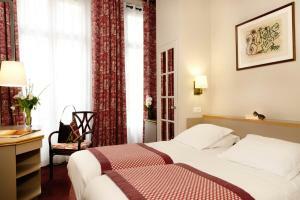 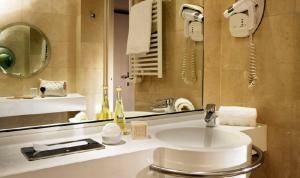 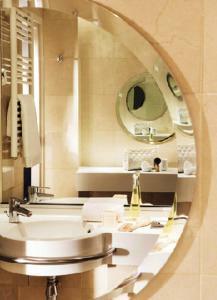 From the hotel guests can use public transport to access sites such as the Louvre and the Musée d’Orsay. 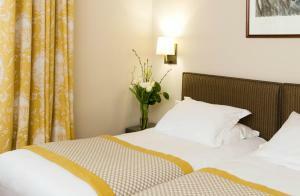 Please note that for bookings of 3 rooms or more, special group conditions will apply: - The first night of each room will be charged at the moment of booking. 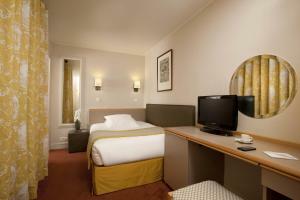 - The total amount of the reservation will be charged if cancelled less than 15 days before arrival. 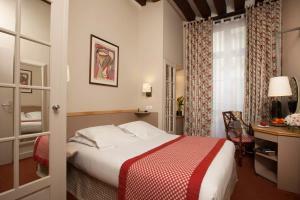 Decorated in a traditional style, the rooms are air-conditioned and feature satellite TV. 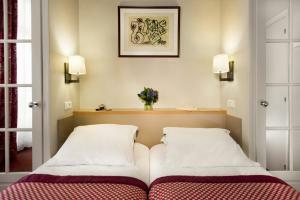 Rate: € 75.60 ... € 420.00; select dates below to get current rates. 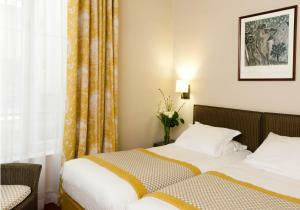 Rate: € 113.40 ... € 406.88; select dates below to get current rates.